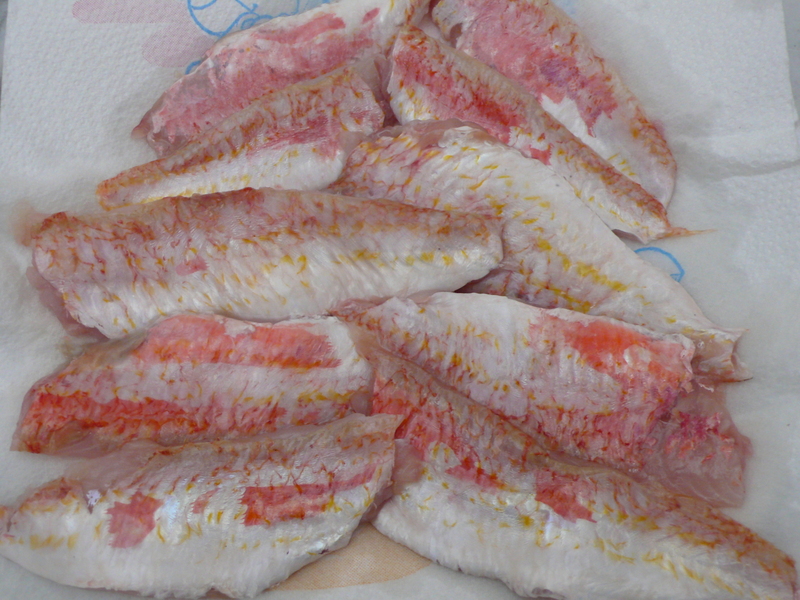 Now that I have learned how to clean a fish, I decided to give filleting them a try as well. 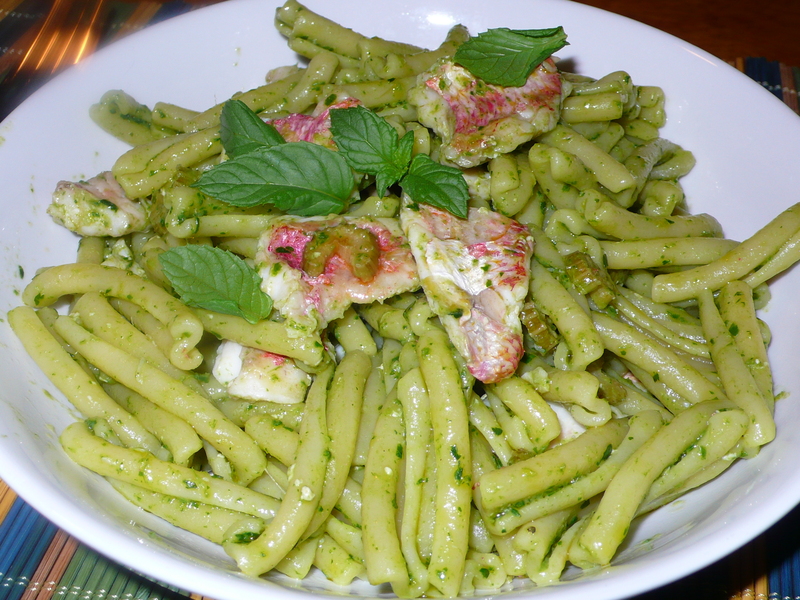 I found this wonderful recipe in an Italian cooking magazine for a pasta with filets of red mullet. I have finally found a fancier fish monger who will clean my fish for me, and when there is too much chaos at the covered market, I will go there, even though the prices are a lot fancier too. I decided to stay true to the chaos and yet on this particular day, I didn’t find any. I have learned that it is always best to market for fish early, but I teach English some mornings and wasn’t able to go until 11:30, I didn’t find a crowd, or really any fish, though as luck would have it I found exactly the fish I was looking for. As I was saying, I had to learn how to clean fish out of necessity, and out of this same necessity I just taught myself how to filet. I must admit that it really isn’t worth the trouble. It may be for a dish like this it is, but in general, I’d rather cook that sucker whole and clean the meat off of the bones steaming and flaky white. 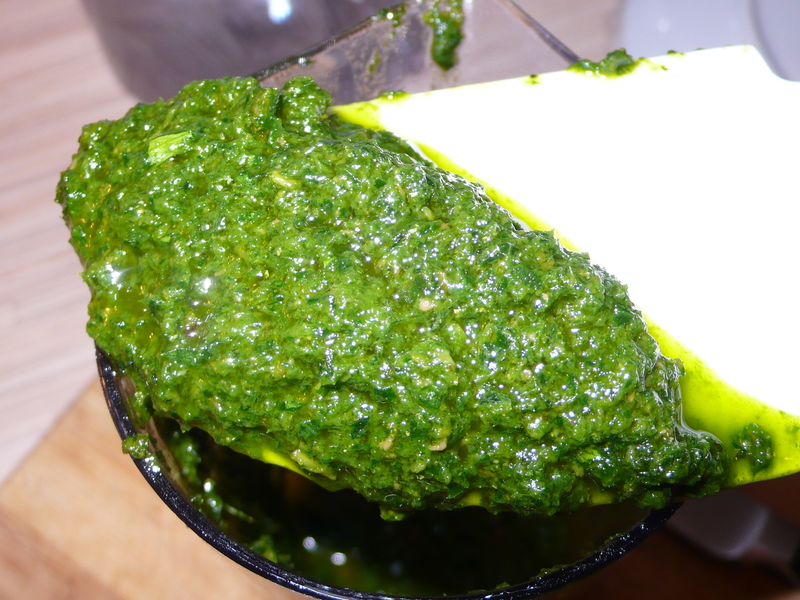 The flavor of the anchovies was strong and since they were hidden in the pesto, my husband thought that there was something off with the fish. 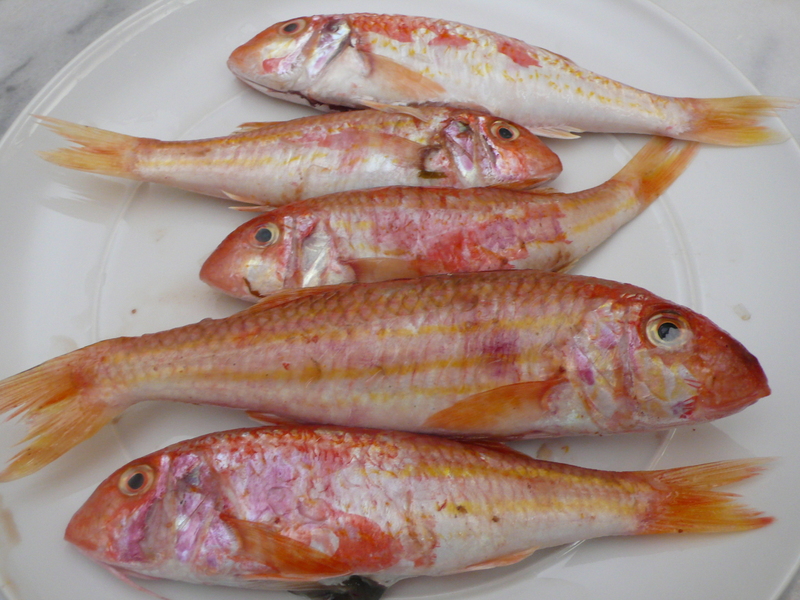 The fish was perfectly fresh, had a great firm flesh and bright eyes, but those pungent anchovies did jump out on your tongue. I may try to make something similar in the future and skip the anchovies. I thought that it was delicious, but you would never want to serve a seafood dish and have your family question its freshness. Fill a large pot with water for the pasta. Bring to a boil over high heat. Once the water starts to boil for the pasta add a small handful of salt to the water and bring to a rolling boil. Add the pasta and cook until al dente. 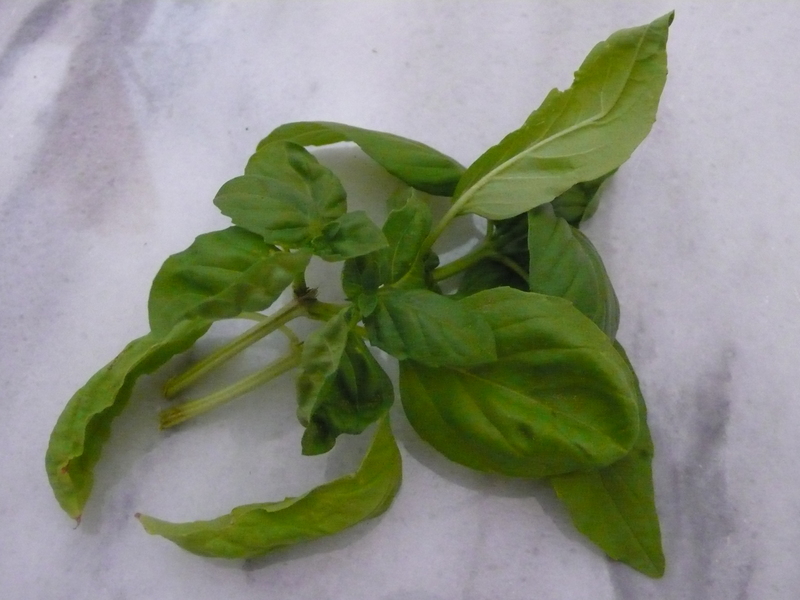 In the meantime create a pesto that is not too liquid, in a food processor or a blender chop the parsley, basil, mint, pepper and oil (I used about 4 tbsp). 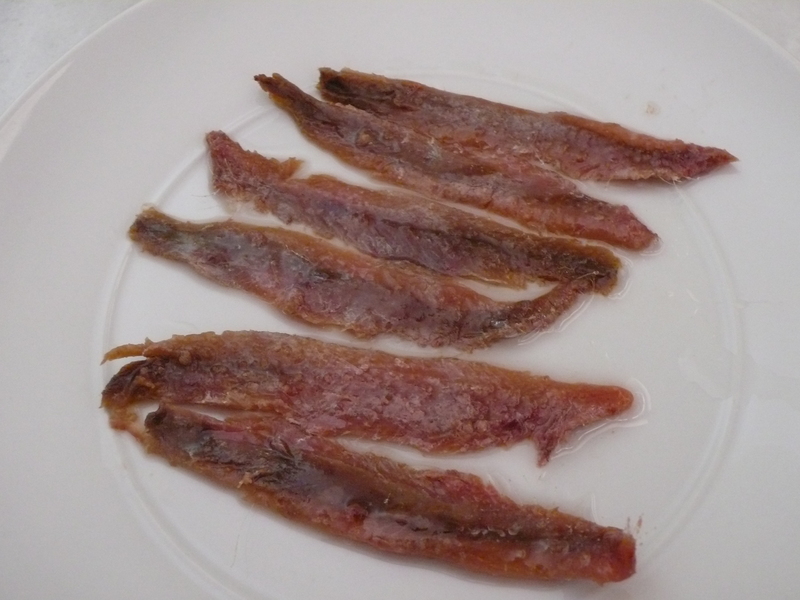 When it has become a consistent paste add chopped anchovies and mix. 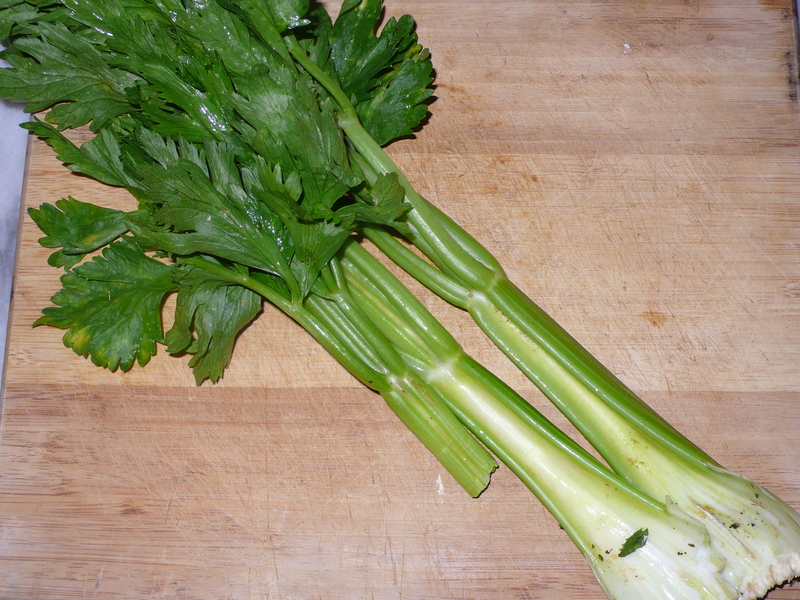 Heat about 1 tbsp of olive oil in a non-stick pan and add the celery, which has been cut crosswise into small pieces. 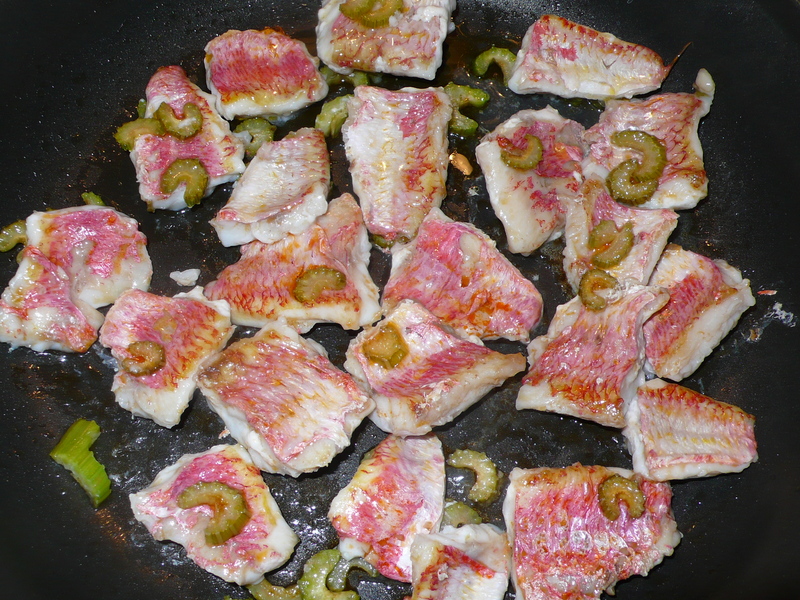 Sauté until they become translucent and add the fish filets, cooking them for 2-3 minutes, turning once carefully with a spatula. 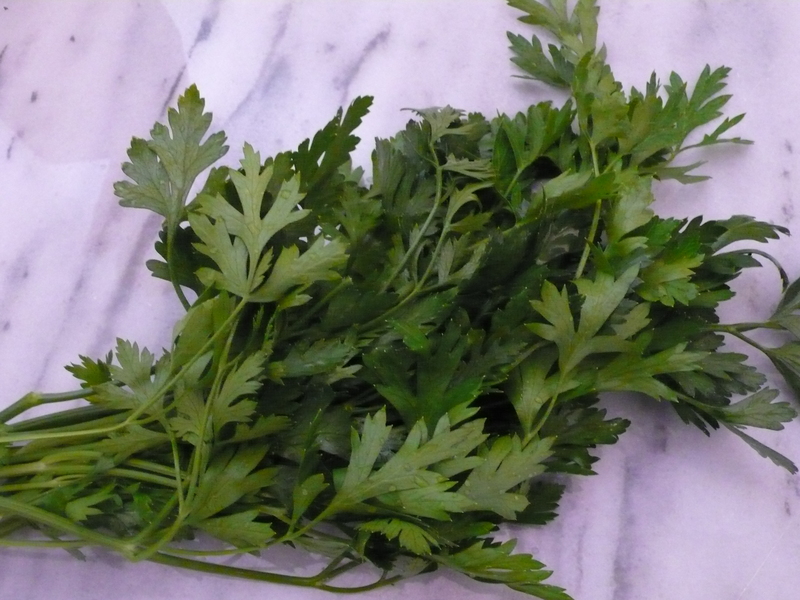 Warm a serving bowl with a spoonful of cooking water, add the pesto and stir to combine. When the pasta is perfectly al dente, strain and add to the bowl. 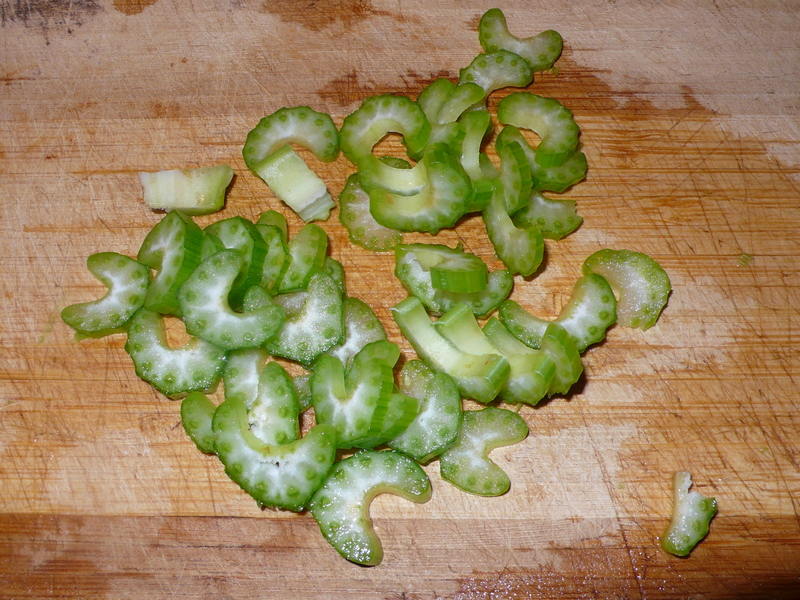 Toss to coat the pasta, and once it is smothered in pesto, add the celery and triglie and toss gently. 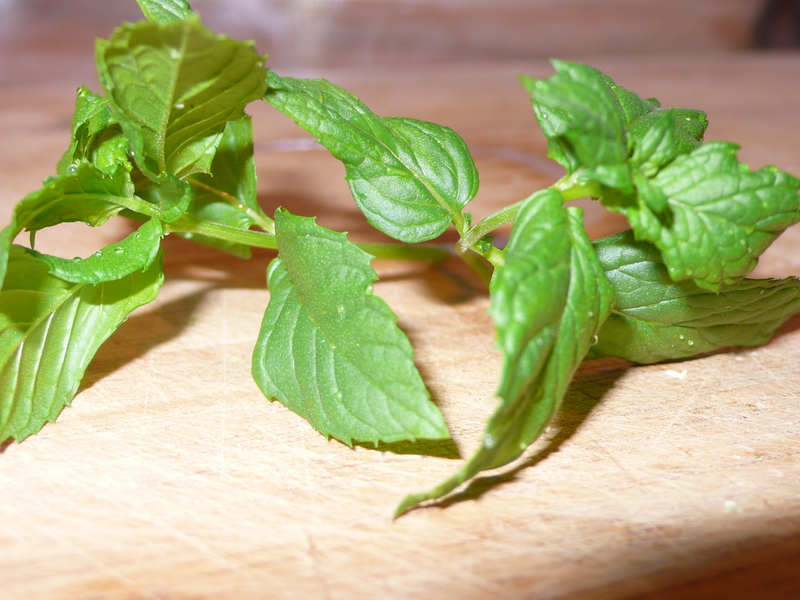 Serve immediately with a few mint leaves for garnish. ~ by italicious on July 22, 2012. This sounds fantastic! And personally I’d keep the anchovies–they add so much flavor.